The Pittsburgh Pirates haven’t been involved in any blockbuster trades this year, but they have filled their gaping needs. The Pirates have already traded for relievers Joe Blanton and Joakim Soria from Kansas City and Detroit, respectively. The Pirates acquired Blanton to become the long inning relief man in place of Vance Worley. Worley was DFA’d hours after the trade was made. Soria was the Tigers closer, and he had 23 saves, which was fifth in the American League. Soria will share bridge duties with Jared Hughed and setup duties with Tony Watson. The Pirates didn’t necessarily need Soria, but they blocked the Cardinals from getting him, which I think was the real reason behind this trade. Both moves will strengthen the bullpen, which will help secure games for the Pirates on their quest for the division title. As July 31st approached, Pirates fans assumed the Pirates would be silent on the final day of the non-waiver wire trade deadline, but we assumed incorrectly. The Pirates kissed Jose Tabata goodbye, and traded for Michael Morse from the Los Angeles Dodgers, who acquired him from the Miami Marlins just a day before. Michael Morse is a utility player who can play the outfield and first base. Morse isn’t the best offensive addition, as he is only batting .213 with four home runs and 12 RBI in 53 games played with the Marlins this season. Morse will be a defensive backup more than an offensive guy because those numbers are pitiful. I hope the Pirates know what they are doing with this move because, by the numbers, he doesn’t seem like that great of a pickup, in my eyes. The Pirates did, however, make a fantastic trade by acquiring J.A. 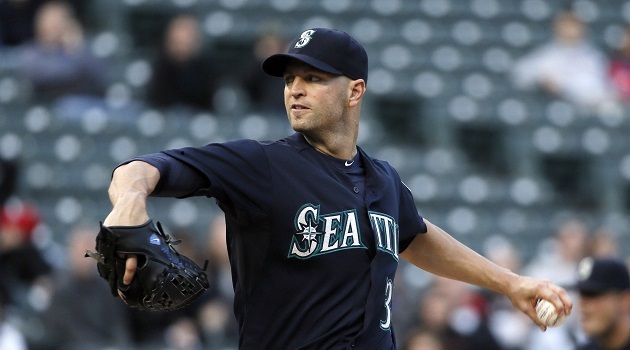 Happ from the Seattle Mariners. Happ is currently 4-6 with a 4.64 ERA, which isn’t crazy amazing, but he is a hard throwing lefty who can be refined. Pitching coach Ray Searage has a history of fixing pitchers who seem to be struggling. He has fixed A.J. Burnett, who had a horrendous season in 2014 in Philadelphia, and turned him into an elite pitcher in the National League, in what looks to be his final season. Hopefully Searage can work his guru magic on Happ because Burnett has gone on the 15-day disabled list with right elbow inflammation, so Happ is stepping into the rotation to take Burnett’s place. I love the moves the Pirates have made this year because we didn’t give up our key prospects. We filled our needs of solid relievers and starting pitching. The Pirates are looking like a solid team heading into August with their top-notch pitching staff, and timely hitting offense. Once Josh Harrison and Jordy Mercer return, the Pirates are going to be back on the road to chasing a division title.